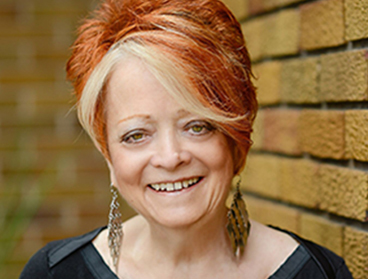 Sheila R. Vitale is the founding teacher and pastor of Living Epistles Ministries and Christ-Centered Kabbalah. In that capacity, she expounds upon the Torah (Scripture) and teaches 'The Ways of God' through a unique Judeo-Christian lens. Pastor Vitale has been studying the authentic Jewish Kabbalah of several rabbinic scholars, including Moses Nachmanides (Ramban), Moses Cordovero (Ramak) and Isaac Luria (The Ari), since May of 2000. Some of the English translations of their writings that she has studied include, The Gate of Reward (Ramban), Pardes Rimonim (Orchard of Pamegranates) (Ramak), The Tree of Life (The Palace of Adam Kadmon) (The Ari) and The Gate of Reincarnations (The Ari). Pastor Vitale attributes her ability to understand and teach Kabbalah, which she believes is beyond the grasp of the human mind, to the Lord Jesus Christ. Sheila R. Vitale has been responsible for the distribution of free Judeo-Christian literature for many years since she founded Living Epistles Ministries in the late 1980s. She has also overseen the creation of lending libraries across three continents, as well as the organization's charitable giving. Under her direction Living Epistles donates a significant percentage of its income to organizations that advocate for Judeo-Christian values, defend the US Constitution and serve individuals most in need. Today, Sheila R. Vitale remains a passionate teacher and author. She has written more than a dozen books, including The Noah Chronicles, Not Without Blood and The Three Israels. She has also developed more than 500 transcribed messages, many of which may be viewed at no charge through the Living Epistles Ministries and Christ-Centered Kabbalah websites. Pastor Vitale's signature work is the three volumes of 'The Alternate Translation Bible.' The Old Testament, The New Testament and The Book of Revelation. The Book of Revelation, as well as several other books, has been translated into Spanish. 'The Alternate Translation Bible' is an esoteric translation of the Scripture. It is not intended to replace traditional translations.